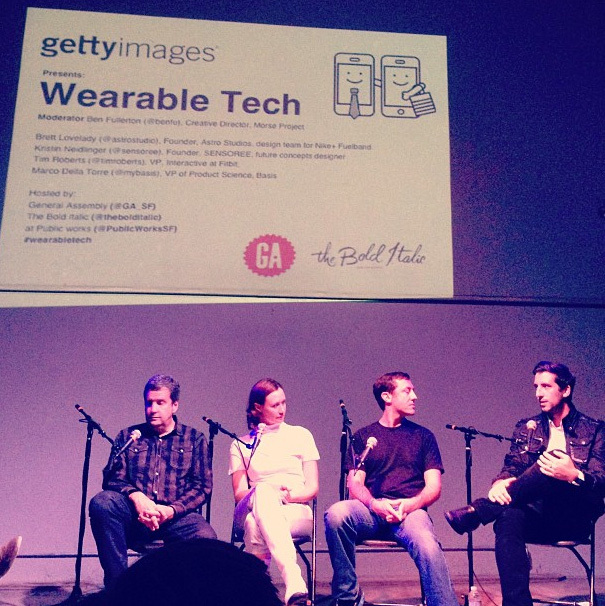 A special thank you to The Bold Italic and General Assembly for hosting the Wearable Tech Panel with (pictured from left) : The moderator, Ben Fullerton(‘s shoe), Brett Lovelady of Astrostudios (nikefuel design team), Kristin Neidlinger of Sensoree, Tim Roberts of Fitbit, and Marco Della Torre of Basis. It was an intriguing conversation on health tracking, privacy, data narratives, and future directions. Thank you to the sold out crowd of 250 and for the feedback via twitter.